Robert Brindley's Blog: 2 NEW Instructional DVD or Video Download Available Now! 2 NEW Instructional DVD or Video Download Available Now! As with all my 'single demonstrations', these are available to buy in DVD format at £7.50 with free worldwide delivery, or as a Video Download for only £4.99. 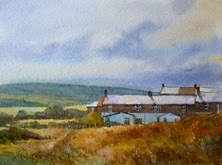 Both have a run time of around 25 minutes using a limited palette of colours, employing the ‘controlled wash’ method. 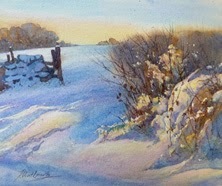 The DVDs begin and end with a short slideshow of my paintings and photographs. These are 2 in a series of demonstrations in both Watercolour & Oil showing my painting process together with an explanation of colour mixing and use of materials.